Vasyl Lomachenko admits he could be willing to make his UK debut against Luke Campbell following his knockout win over Anthony Crolla. The Ukrainian star produced an explosive fourth-round stoppage of Crolla to defend his WBA and WBO lightweight belts and has voiced his desire to become the undisputed champion in the division. Campbell could be a potential opponent for Lomachenko as he has earned a mandatory shot at the WBC title currently held by Mikey Garcia, who is yet to announce if he will vacate the belt. 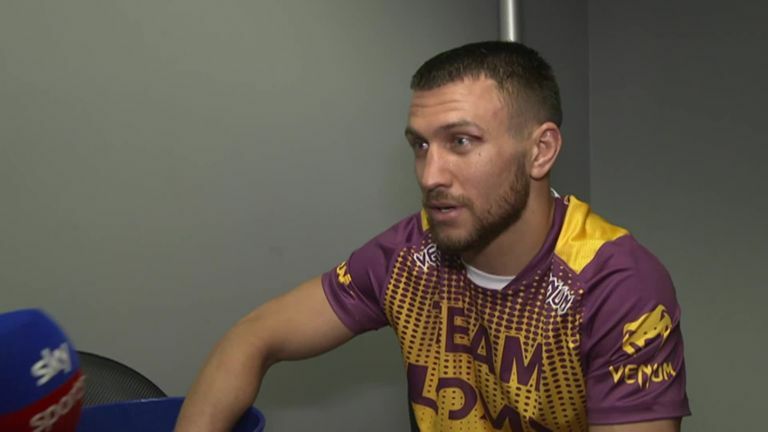 Lomachenko told Sky Sports: "Of course for me, more interest in Mikey Garcia, but if Mikey Garcia can't cut weight, maybe it will be Luke Campbell, maybe we can organise a fight in the UK. "I come to the UK, unify titles, so we'll see. "It will be very historical, a big fight." 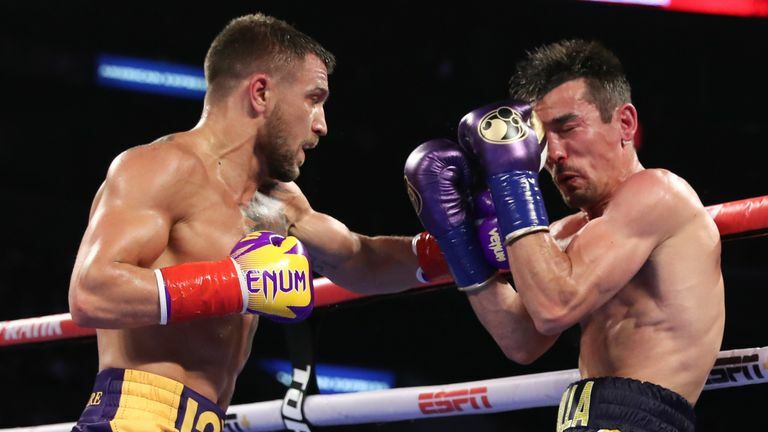 Lomachenko believes he fractured his hand while delivering the final knockout punch and wanted the fight to be stopped earlier when he trapped Crolla on the ropes at the end of the third round. 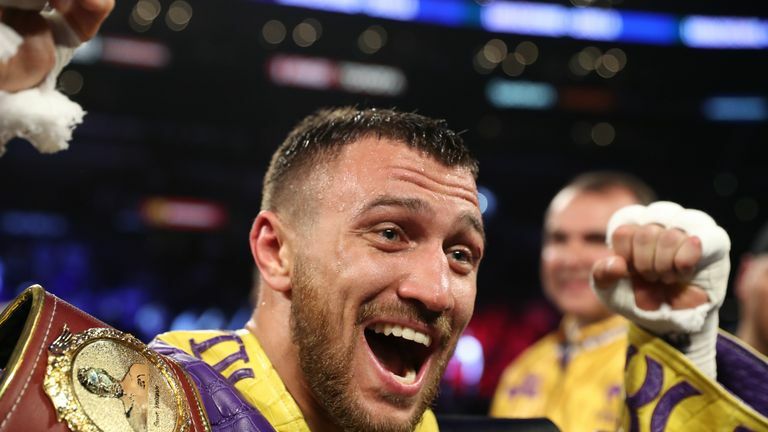 "I think it's a very big mistake [from] Crolla corner, because they saw what happened in the third round," said Lomachenko. "I think they [should have] throw the towel in, but it is, what it is. I wish big health for Anthony Crolla and all the best." Asked about his injured fist, he added: "It was last punch, a right hook that broke my hand. Of course I don't like it, because every fight I have the problem, the shoulder, or my hand, but it's a big sport."